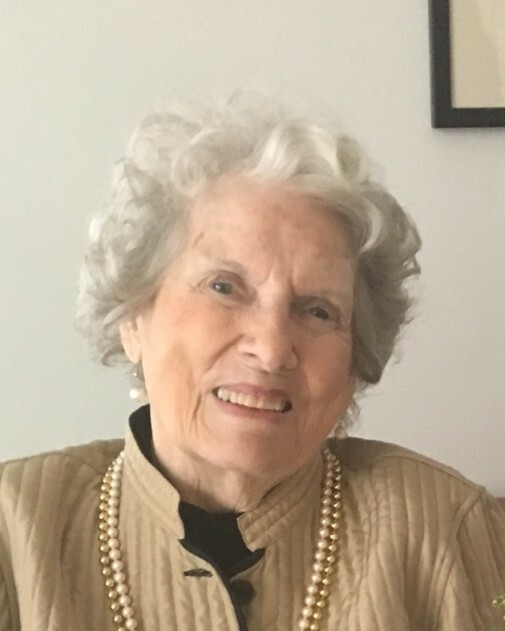 On November 26, 2018, Lucille Nora Young passed away at home with her loving family near her side. Born on February 19, 2018 to the late Louis M. and Amelia J Joers in St. Louis, Missouri she later married her husband, the late Col. Robert E. Young who predeceased her in 2010. Lucille leaves behind her dear children, Kathy (James) Farley, Susan (A. Parker) Land, Nancy (Richard) Caulfield, Beth (John) Abraham, Dr. Robert E. Young and Dr. Stephen C. Young as well as 19 Grandchildren and 26 great-grandchildren. Along with her husband, she was predeceased by her brother Paul Neumuebel, sister in law Carol Elliott and cousins Joe & Jackie Joers.